Dräger X-plore 1700 is the new generation of particle filtering face pieces which offer effective protection against fine dusts and solids and liquid particles that are present in industry, mining, specialized trades, agriculture and services. The portfolio range offers masks for all three EN protection classes FFP1, FFP2 and FFP3 in accordance with EN149:2001. Odour stopping versions utilize an additional activated carbon layer inside against unpleasant odours. The specially developed CoolSAFE™ filter material combines various high-performance filter media to achieve an excellent filter performance coupled with extremely low breathing resistance. In addition, the face pieces were subjected to the increased requirements of the dolomite dust test to successfully test their resistance to clogging under high dust exposure. Easy and comfortable breathing: Thanks to a very low breathing resistance, it is particularly easy to breathe. 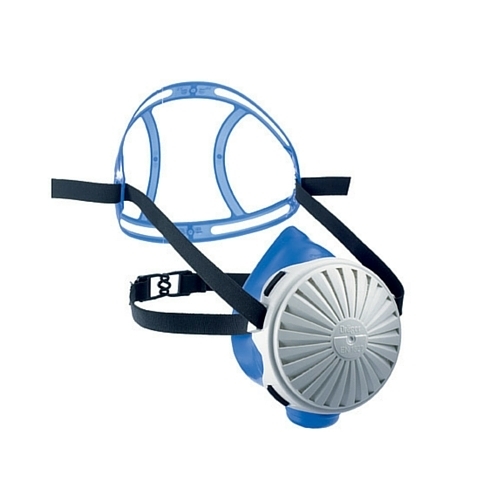 Additionally, the specially engineered CoolMAX™ exhalation valve releases humid and warm exhaled air, preventing heat build-up underneath the mask, allowing you to stay cool. This continuous loop head harness is constructed from a stable, elastic textile strap which is easy to don and doff while sitting comfortably and pressure-free. The soft, tear-proof elastic easily stretches to fit various head sizes and prevents hair entanglement. The inside fleece is soft and hypo-allergenic, and repels moisture thanks to its hydrophobic properties. This keeps breathing resistance low and comfort high, especially when used for longer periods of time. Fast recognition without confusion: The color coding in dark blue, light blue or white for the three protection levels provides greater security when selecting the right mask. All Dräger X-plore 1700s are flat-folded, saving space and making them easier to transport. Each facepiece is individually packed in a plastic bag, ensuring it stays clean and hygienic. 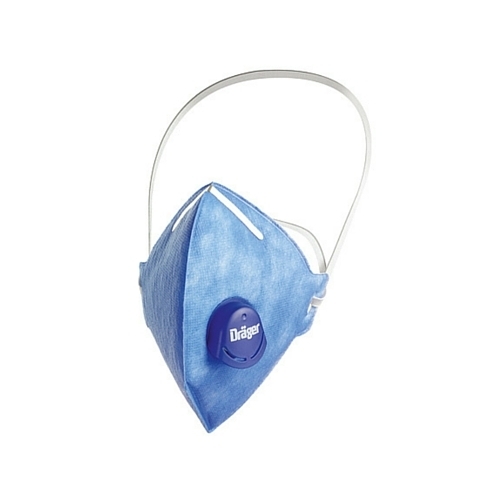 Excellent tight fit The mask body of the Dräger X-plore® 2100 offers a first class tight fit with clearly reduced leakage figures compared to conventional filtering facepiece respirators. High level of wearing comfort Optimal wearing comfort is achieved by two available high quality materials, EPDM and silicone, in two sizes. 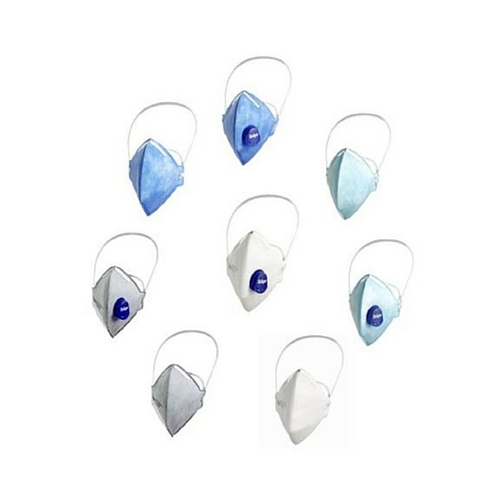 Comfortable Breathing Zone Climate The exhalation valve is located at the lowest point in the mask, which helps to effectively remove exhaled moisture and perspiration. "Drop down" harness The mask can be removed from the face without removing head protection by simply unclasping the neck fastener. While in the drop-down position, the face-seal portion of the mask remains against the body therefore protecting against contamination. Large-Capacity filters During frequent and prolonged use in dusty environments the practical replaceable FMP2 and FMP3 filters protect with high filter performance and low respiratory resistance against solid and liquid particles/aerosols. Very economical The replaceable filters have a long service life. The easy to replace and low-cost filters make for an economic use. Easy donning and doffing The one-piece head harness with two adjustment points and anti-slip headgear ensure fast and trouble-free donning and doffing in addition to a very good pressure distribution.